Burberry’s February 2017 collection, their second straight-to-consumer show, took place at the Makers House in London. It was a seasonless collection that included menswear and womenswear, in keeping with Burberry’s latest retail model. The collection is inspired by the works of the legendary 20th Century British sculptor Henry Moore. The artist’s play on scale, shapes and textures translated into sculptural silhouettes. The influence of the artist can also be found in the finer craftsmanship details. The most obvious references were in the printed cotton fabric that featured his designs and in the sculptural heels of the shoes. Many other typically British elements of the Burberry wardrobe were reimagined. The shape of trench coat became more feminine, the sweatshirt was made more flattering — worn off one shoulder, chopped up with the waist cinched in. A combination of textures including cable knit, lace, shirting fabric and surface embellishments made each look interesting and each silhouette feel fresh. 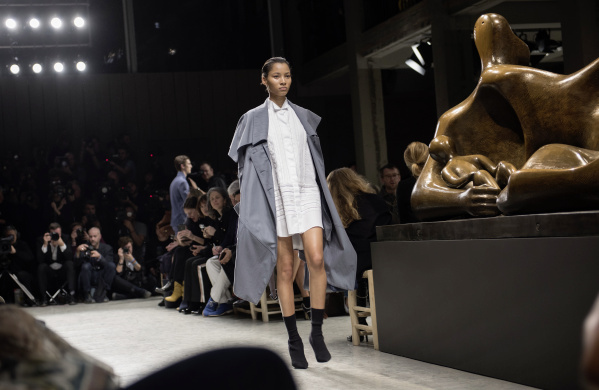 Capes, another iconic element of Burberry’s heritage, were brought to the fore. Almost all hems were asymmetric, from sweatshirts, sweaters and jackets to the capes and dresses. Just as Christopher Bailey manages to perfectly balance the house’s history and leverage it to propel the house into the future, this collection too uses the house’s heritage and the influence of a historic British artist to present clothes that feel at once timeless and refreshingly new. Following the show, Makers House will host an exhibition where viewers can explore Burberry’s latest collection and its inspiration. 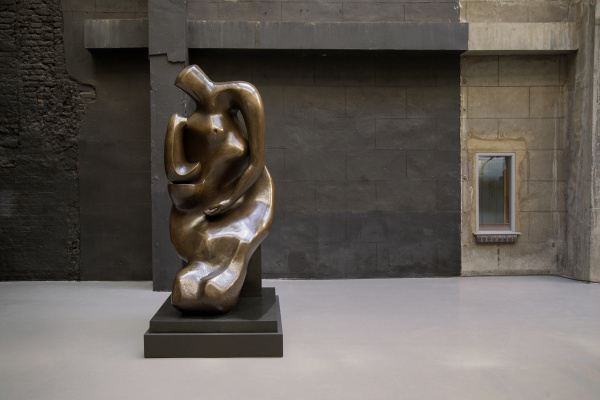 The exhibition which has been curated in collaboration with the Henry Moore Foundation, will also display the artist’s works and familiarise viewers with his creative process and methods.